With the advent of New Year, a ray of hope has entered into our lives. A hope for better and more prosperous New Year. But, what separates a mundane day and a cool day, a monotonous year and a year of glorious moments, is certainly your furry pal. People who own a pet know what this statement means. A dog or cat or any other pet has the power to turn a house into a home. At the same time, being a pet parent is not an easy task. It comes with great responsibility. You need to take care of your pet by providing the best pet care products. 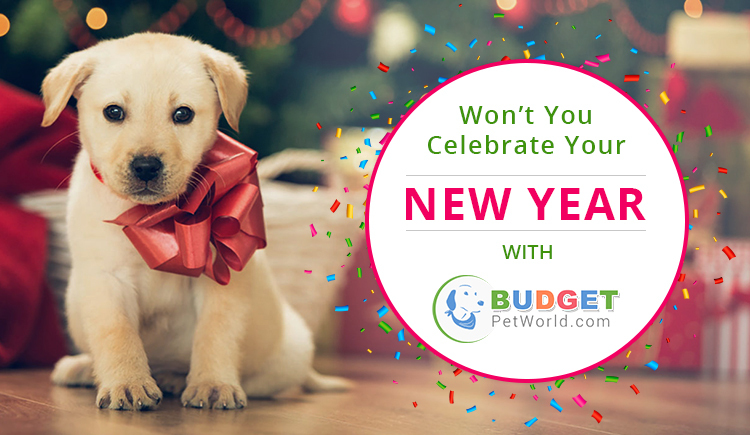 At Budget Pet World, a home to all pet care supplies and services, you will find a lot of products and information, which will come handy in the maintenance of your pet’s well-being. This New Year gets acquainted with some of our top pet care products, which have shown great resilience to fight against the major pet diseases. Frontline top spot, one of the products from Frontline Family, manufactured by Merial, is the top choice of pet parents. It fights against fleas and ticks. These blood-sucking parasites are the most common enemy of your pet’s well-being. This topical solution is a sure shot to fight against the deadly fleas and ticks. On application of the treatment, it takes just 24 hours to eliminate adult parasites from your pet’s life. The product owes its success due to the presence of drug named Fipronil, known for disrupting the insect’s central nervous system and destroys them. 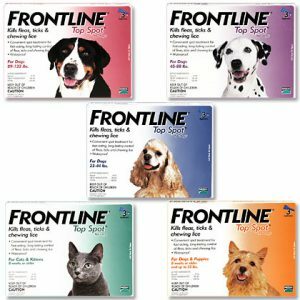 Therefore, Frontline Top Spot is an effective flea and tick treatment. Revolution is a product, which is handy in fighting fleas and ticks, immature heartworms and all sorts of internal parasites. A must-have product for your pet’s well being. The best thing about this product is its ability to protect your pet against multiple pet problems such as fleas and ticks, heartworms, and other intestinal parasites and that too at the same time. This is a product, which is truly living up to its name. It is the ultimate protector of your pet from deadly heartworms. Heartworms are the biggest threat to your pet’s well-being. These deadly worms affect your pet’s heart and thus pose an existential threat to your pet’s life. The disease spread by a mosquito bite that carries the infection from one body to another. 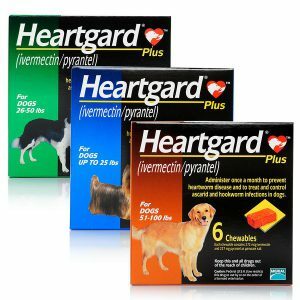 Heartgard Plus, as the name suggests protects your furry pal’s heart from such existential threats. 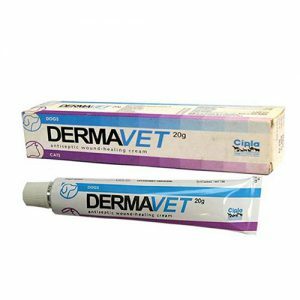 Dermavet, manufactured by Med-Pharmex is a healing cream to relieve your pet from cuts, lesions, ear-infections and wounds of any kind. It has anti-bacterial and anti-fungal properties, which makes this product so important in treating wounds and cuts. While most pet owners do care for major pet diseases, but at times, they do neglect the little things, which also do matter. One such area is the oral health of your pet. 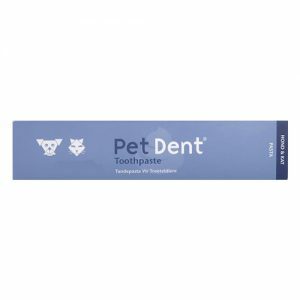 Pet Dent Toothpaste is an ideal product to care for your pet’s oral health. This malt-flavored paste helps in preventing mouth and gum diseases. Are you trying Pent Dent Toothpaste for your pet? 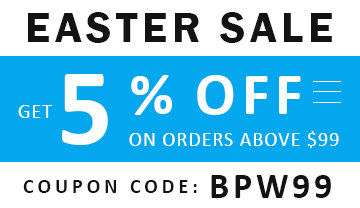 Budget Pet World is not just another pet care supplies site. 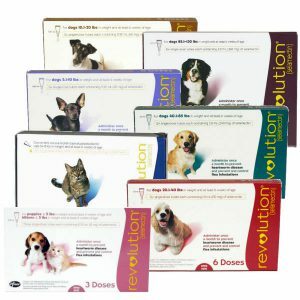 It is a medium to give your furry pal, the best of wellness products. This New Year, shop pet care products at Budget Pet World at exciting offers. TRY US AND THEN RATE US. A VERY HAPPY NEW YEAR.